1. The Old ARENA of the Redeemed Christian Church of God is the size of 86 football fields (1km x 1km) and was built at the cost of over N7.7 Billion,completed in 2007 while the new one is 3km x 3km in size. 2. The Living Faith Church aka Winners Chapel pays tithes to the Redeemed Christian Church of God. January 2011 tithe amounted to about N1.5Billion. 3. 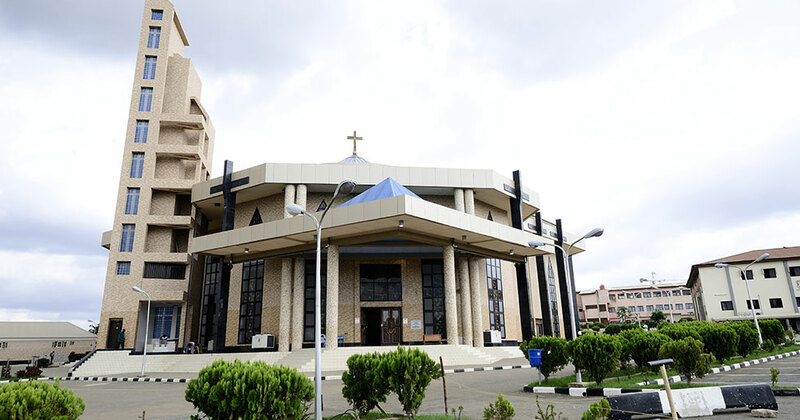 There are about 40,000 churches presently in Lagos Nigeria. 4. The Redeemed Christian Church of God used 80,000 ushers and a 1,500 strong choir for the single night of Lekki ’98 in December 1998. The church estimated the crowd at 6.5million instead of the expected 3million while CNN put it at 7.2million. 5. Pastor WF Kumuyi of Deeper Life Bible Church was formerly a member of the Apostolic Faith Church and was later excommunicated. Today, the Deeper Life Bible Church, founded by Pastor Kumuyi is bigger in size than the Apostolic Faith Church in Nigeria. 6. The two largest churches in Europe are pastored by Nigerians. #1. Pastor Sunday Adelaja of the 20,000 member-Embassy of the Blessed Kingdom of God for all Nations. Kiev,Ukraine. Eastern Europe. #2. Pastor Matthew Ashimolowo of the Kingsway International Christian Centre, London, England. Western Europe. 7. The Roman Catholic Church is the wealthiest institution in the world. As at 2008, she owned 93,315 elementary or nursery/primary schools and 42,234 secondary schools with 48,278,000 students in these schools. 8. According to the Vatican,there are 11,000 seminarians in Nigeria while Bigard Memorial is the largest seminary in the world. 9. The Living Faith Church Worldwide (LFCW) has a 25 year educational program from 2007-2032 which includes the establishment of 7 universities,140 secondary schools and 5,000 nursery/primary schools. 10. Seventh Day Adventist Church owns 116 universities including Babcock University,Ogun State,Nigeria. 11. The Church of Jesus Christ of the Latter Day Saints (Mormon Church) is the second richest church in the world after the Roman Catholic Church. 12. Assemblies of God with 60 million members is the largest pentecostal church in the world.